Answering all your questions about Forex! Why trade multiple time frames in Forex? Forex trading with multiple time frames. What are the benefits of such trading. Thank you. Why simply not trade Forex using one favorite time frame? 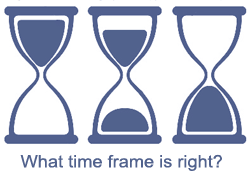 Why do we need screening several time frames? 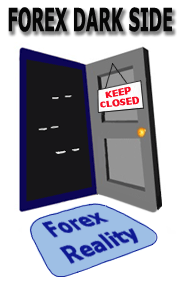 Many beginners start trading Forex looking at one chosen time frame. They bring along or develop an approach and start testing their knowledge and skills. One of the potential answers may lie in the narrowness of the research done by looking at one time frame and never knowing what is going on at the more superior level. The higher the time frame the more importance it carries. E.g. 5 minute time frame (TF) is more important than 1 minute frame. 1 hour TF is more important than 5 min. Daily TF is more important than 1 hour. Weekly TF is more important than daily etc etc. The key to successful Forex charts analysis lies in the habit to screen time frames higher than the one you normally trade with. Two superior time frames is just the right number. Screening more than that could overload traders with information, less than that might be not enough, but still better than nothing. Let’s avoid philosophy again and go straight to common time frame pairs. The main approach here is to start with a superior time frame, conduct the analysis, identify the main trend and market turning points. Then go 1 step lower, continue the analysis while referring now to the major frame. Then descend to original chosen time frame and identify trading opportunities that fit the analysis done on the global scale. Seeing things from larger prospective help traders increase the rate of winning trades in Forex. Submitted by Hassan on Fri, 06/13/2008 - 07:56. Very nice information. As a newbie, I fall in that trap and has now known the gravity of my mistakes. I was used to using only one time frame, but suddenly would see a sharp reversal from my direction and end up losing all that I have gained. I will strictly keep to your advice and will follow it religiously. Submitted by Trader on Sat, 06/14/2008 - 21:09. Submitted by Trader on Sat, 11/22/2008 - 14:26. I wish I had read this article six months ago. GooD Trading Technique. Submitted by Chinedu Ogbu on Tue, 12/09/2008 - 17:47. Submitted by OLUCHI TREASURE on Tue, 04/14/2009 - 09:45. Submitted by Elemo on Sat, 12/12/2009 - 23:25. This is an eye opener, it does it all. Submitted by Beginner Trader on Sat, 10/02/2010 - 13:21. Please explain, do we have to see the lowers time frames or the superiors? For me it sounds like we have to check 5 min and 15 min if our time frame of trading is 1 hour. Am i wrong? Submitted by Beginner Trader on Sun, 10/10/2010 - 09:03. You neeed to post an example after putting the forth the concept. It will make the concept easier to grasp. Submitted by Josh on Sat, 11/27/2010 - 20:49. An example would help to illustrate the concept much better. Submitted by Beginner Trader on Wed, 07/13/2011 - 16:33. Submitted by Beginner Trader on Tue, 10/25/2011 - 04:54. Submitted by Beginner Trader on Sat, 11/12/2011 - 01:37. After trading forex for two years,i found myself guessing around the directions of some pairs which didnt help at all,then the expected happened...I LOST A FORTUNE!Multiple timeframes recently made me know the reason i lost,adjusting now i'm a better trader,i would have love to upload my account under one month using the strategy ofcos with other indicators,its massive.THANK GOD FOR THE DAY I CAME IN CONTACT WITH MULTIPLE TIMEFRAMES SYSTEM!!!!!!! Submitted by Beginner Trader on Fri, 03/02/2012 - 09:38. Submitted by Beginner Trader on Sat, 04/21/2012 - 07:54.
thx a lot,i have a question,if i trade with 4 h after a got 1 h-15min-5 min this is okay? Hi, I would like to ask about trend lines. I would like to have one -on-one coaching. do u have something like that? Or live training.?? Where can I find the Camarilla indicator? I prefer the New York open. i am in Ghana and want to know when to calculate pivots for this market. How do i start demo trading? a great deal about how you should go with the Trend or the Tide and not with the ripple or wave. I am using an expert adviser in metatrader. and stop loss mechanisms are still applicable in the U.S based forex trading platforms and if non then why?